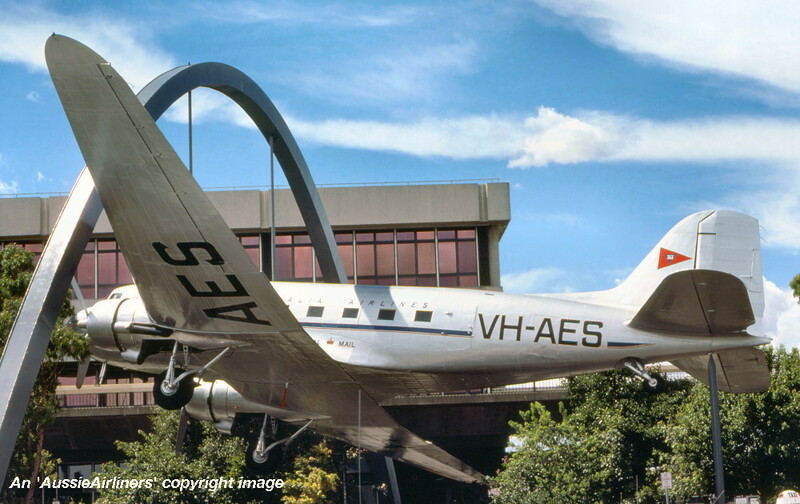 VH-AES. 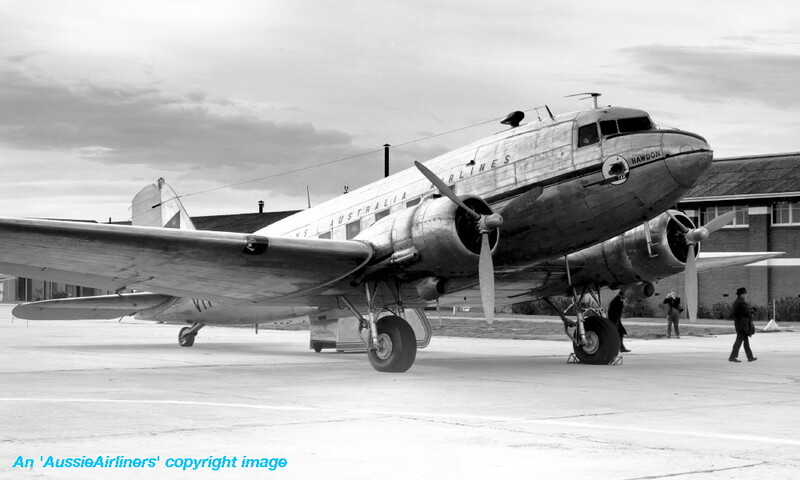 Douglas C-47-DL. c/n 6021. It was also registered as: VH-SBA. It was delivered to the United States Army Air Force - ? VH-AES. 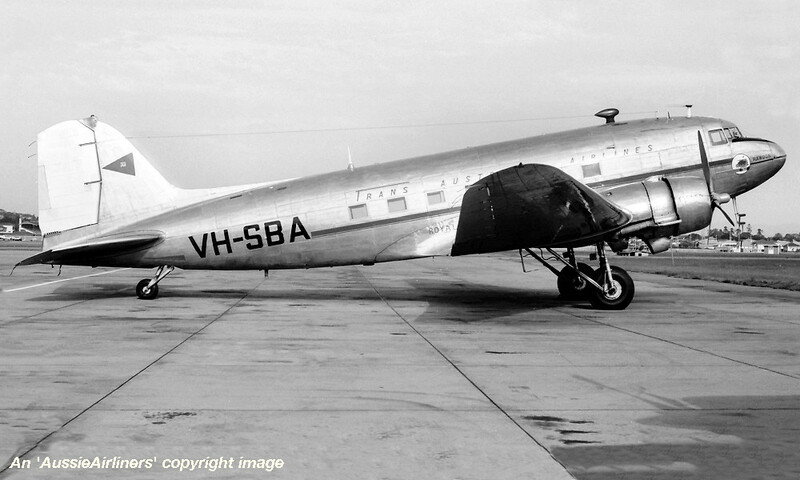 Trans Australia Airlines - 'Hawdon' in the original livery at Melbourne Laverton Airport, September 09, 1946. 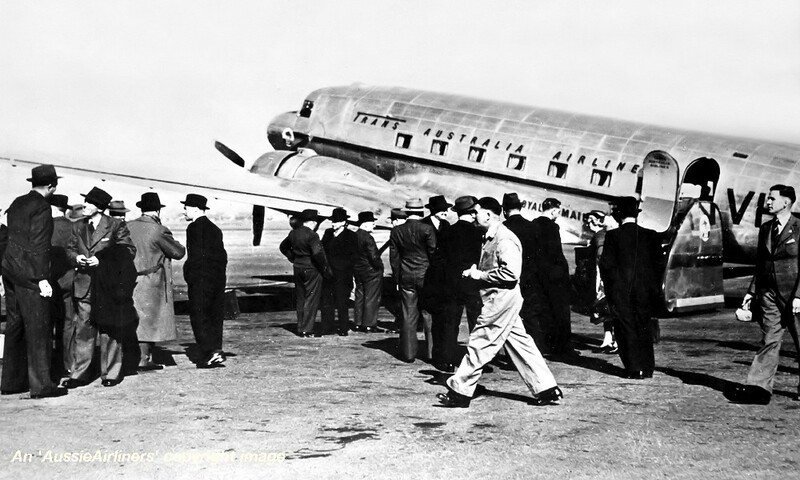 This was the airline's inaugural flight. 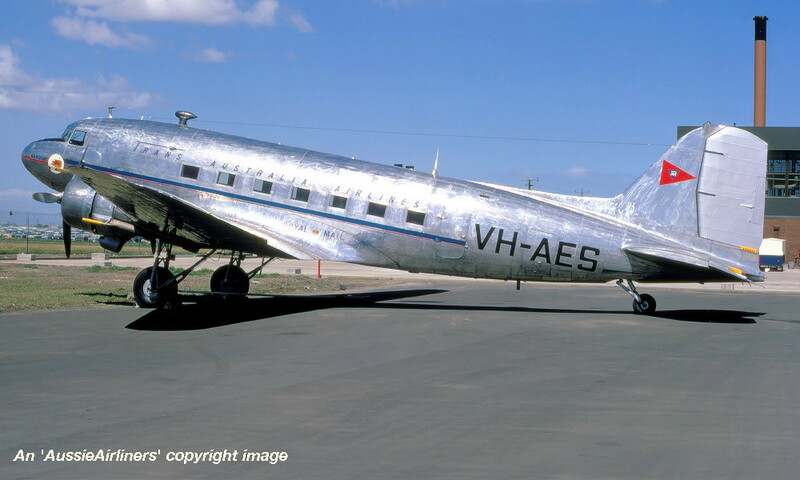 VH-AES. 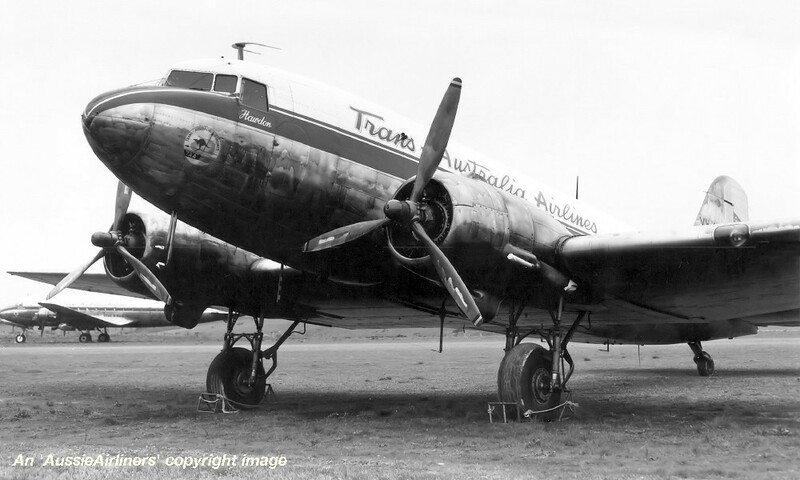 Trans Australia Airlines - 'Hawdon' in the revised livery at Melbourne Essendon Airport, August 1959. 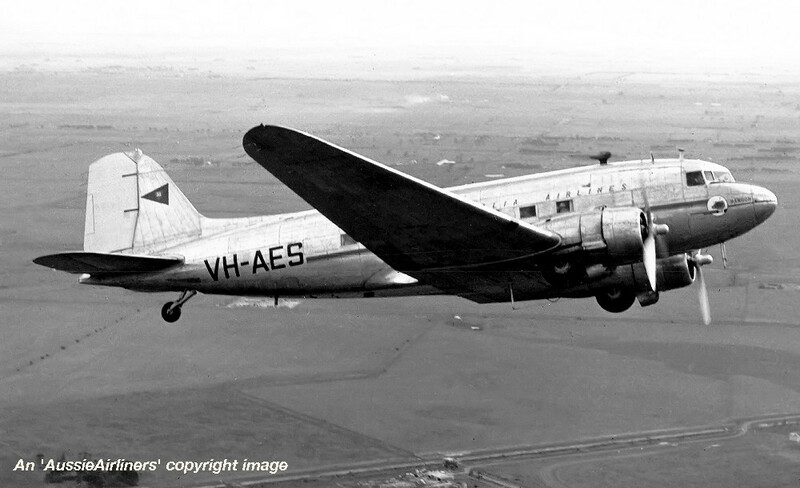 VH-AES. 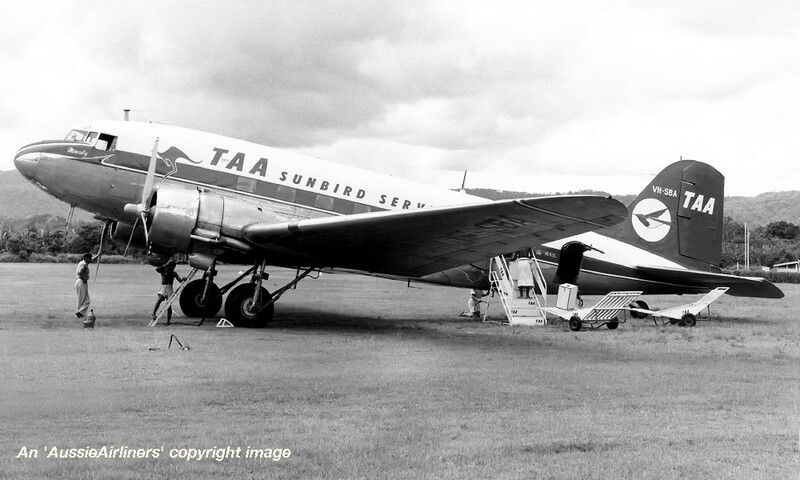 TAA Sunbird Services - 'Hawdon' in the standard livery at Melbourne Essendon Airport, August 1960. 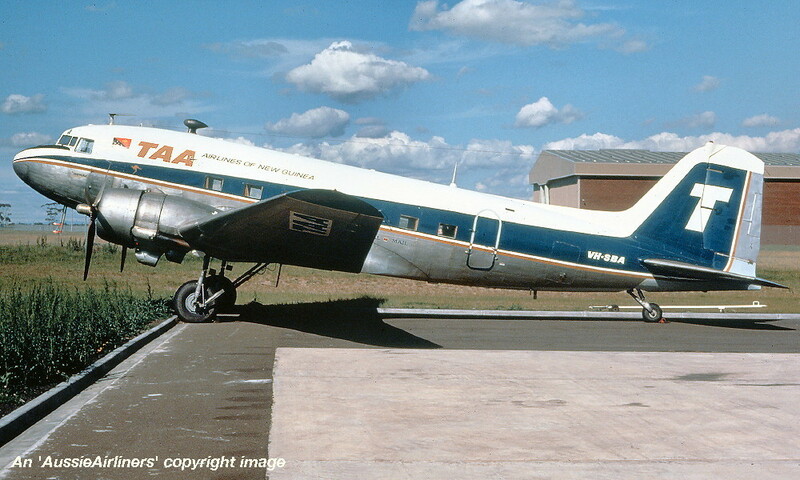 VH-SBA. 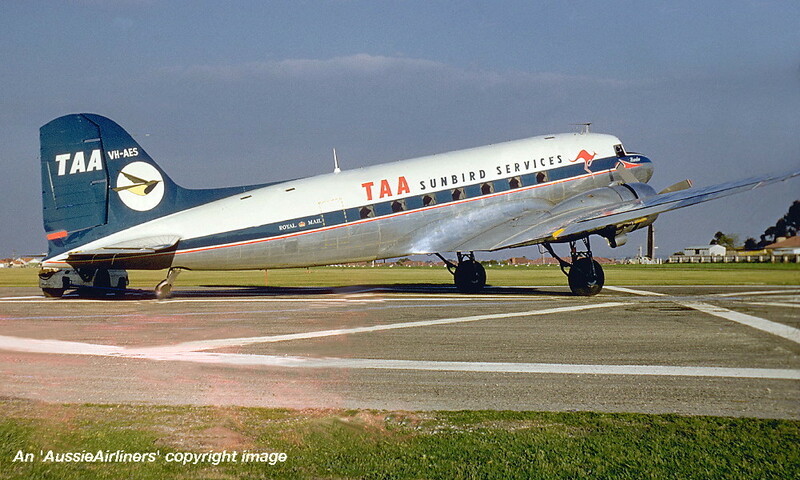 TAA Sunbird Services - 'Hawdon' in the standard livery at Lae Airport, date unknown. VH-SBA. 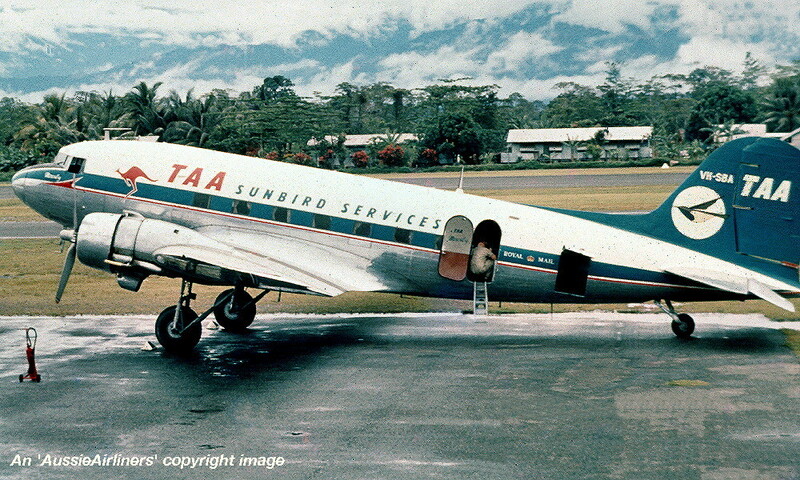 TAA Sunbird Services - 'Hawdon' in the standard livery at Rabaul Airport, date unknown. 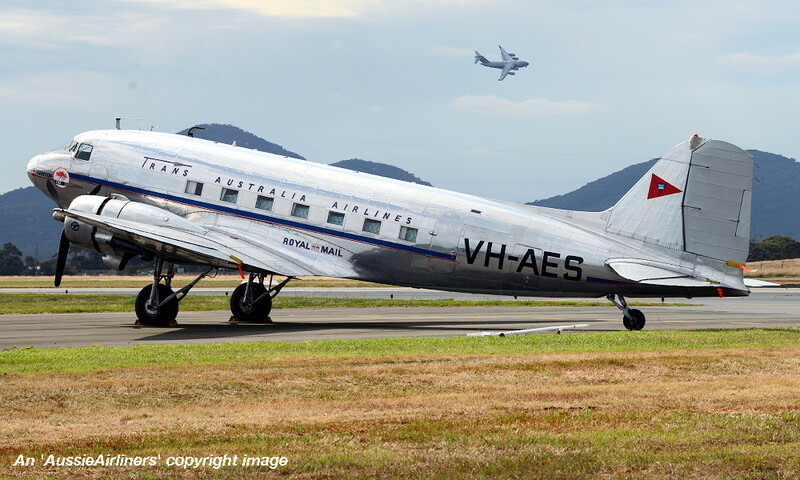 VH-AES. 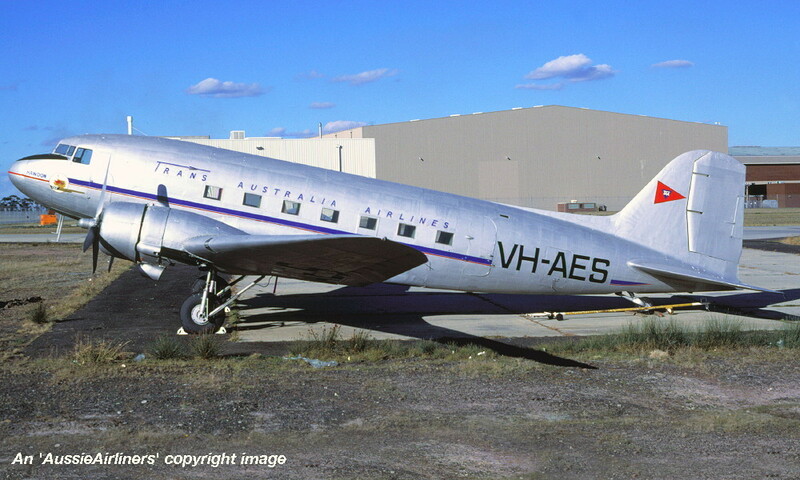 Trans Australia Airlines - 'Hawdon' in the original livery at Melbourne Laverton Airport, September 09, 1971. This was the re-enactment of the airline's inaugural flight. 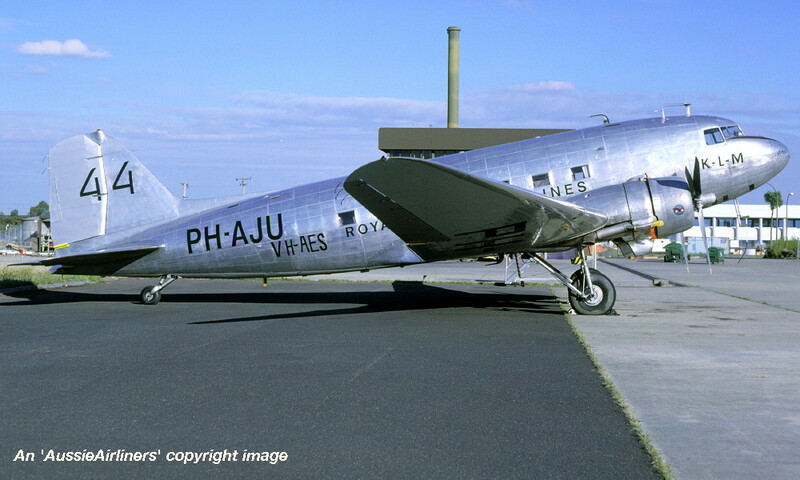 VH-AES. 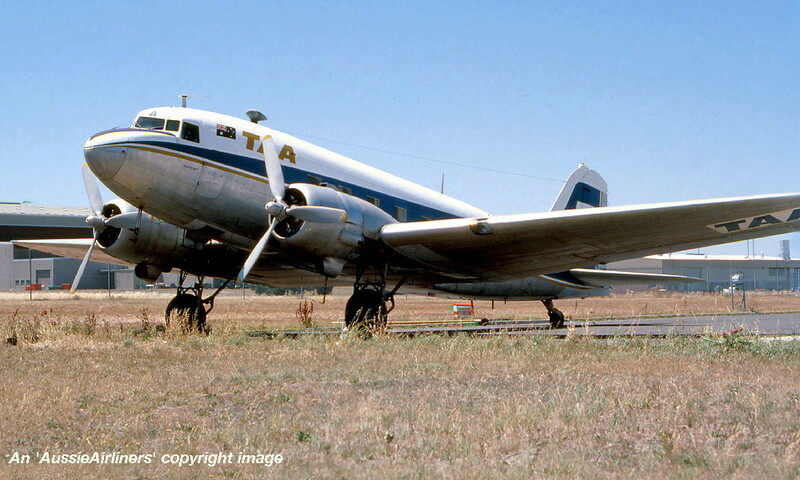 Trans Australia Airlines - 'Hawdon' in the original livery near Melbourne Laverton Airport, September 09, 1971. This was the re-enactment of the airline's inaugural flight. VH-AES. 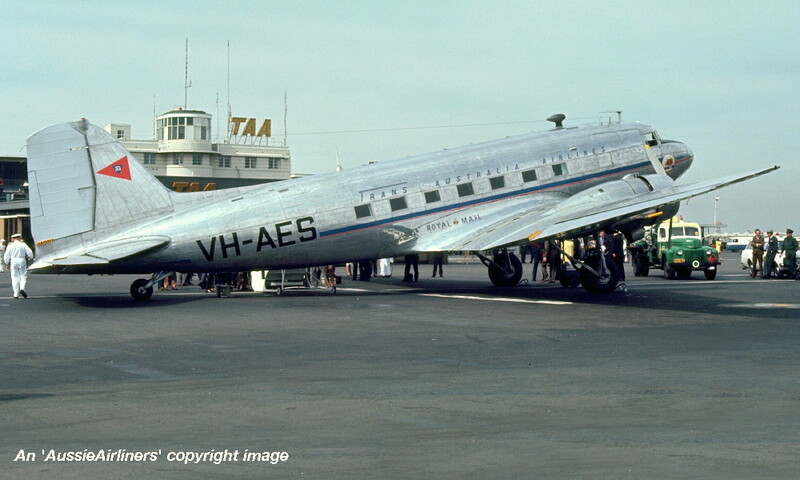 Trans Australia Airlines - 'Hawdon' in the original livery at Sydney Kingsford Smith Airport, September 09, 1971. This was the re-enactment of the airline's inaugural flight. VH-SBA. 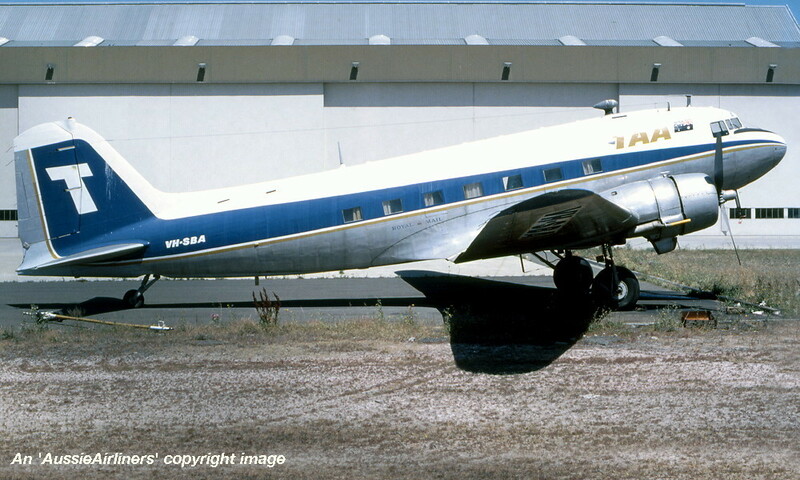 Trans Australia Airlines - 'Hawdon' in the original livery at Brisbane Airport, October 1971. VH-SBA. TAA Airlines of New Guinea - in the final livery at Melbourne Tullamarine Airport, May 1975. VH-SBA. 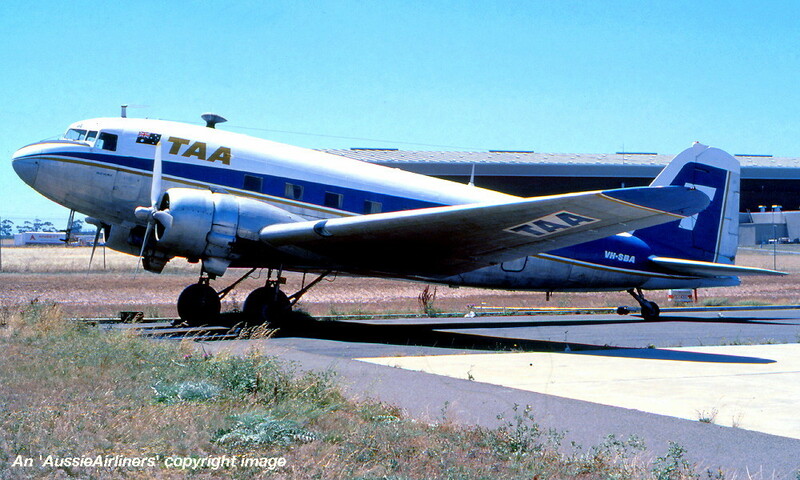 TAA - in the final livery at Melbourne Tullamarine Airport, January 20, 1978. 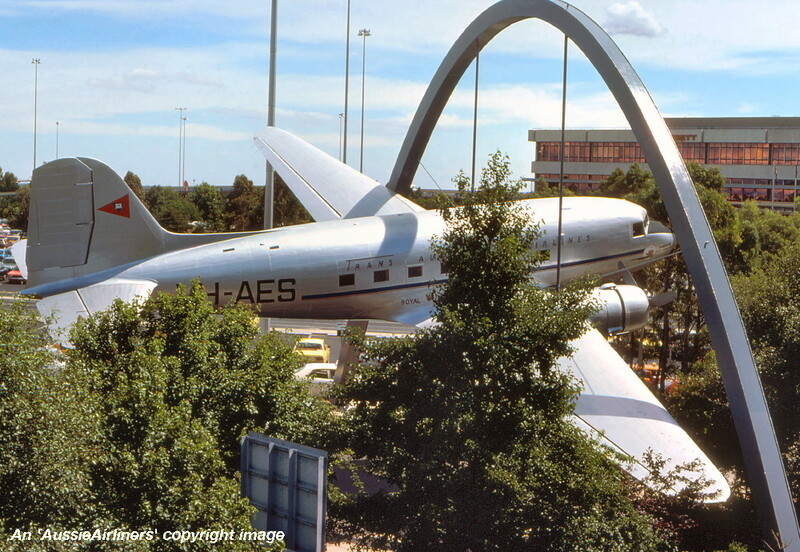 VH-AES. Trans Australia Airlines - 'Hawdon' in the original style livery at Melbourne Tullamarine Airport, December 13, 1979. 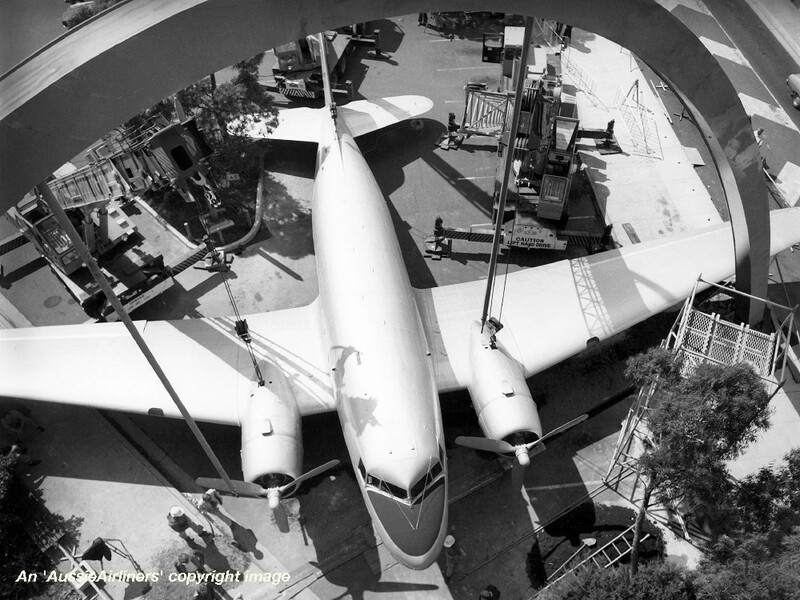 The aircraft is being prepared to be lifted into place for display outside the TAA Passenger Terminal. 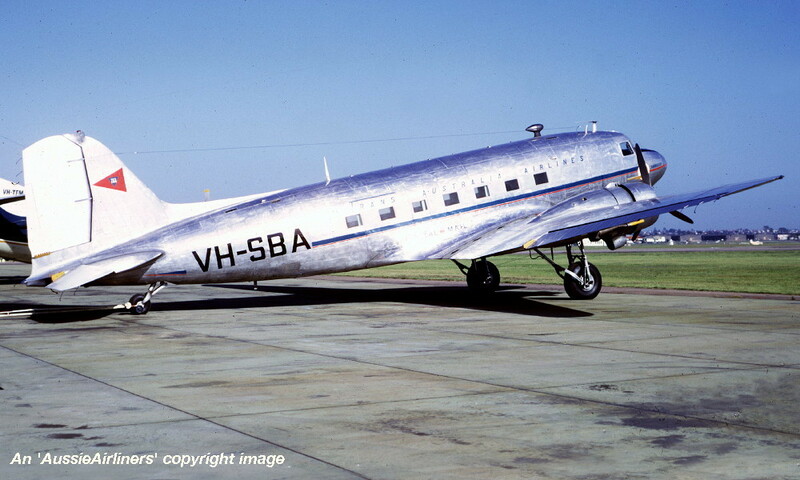 VH-AES. Trans Australia Airlines - 'Hawdon' in the original style livery at Melbourne Tullamarine Airport, January 12, 1980. 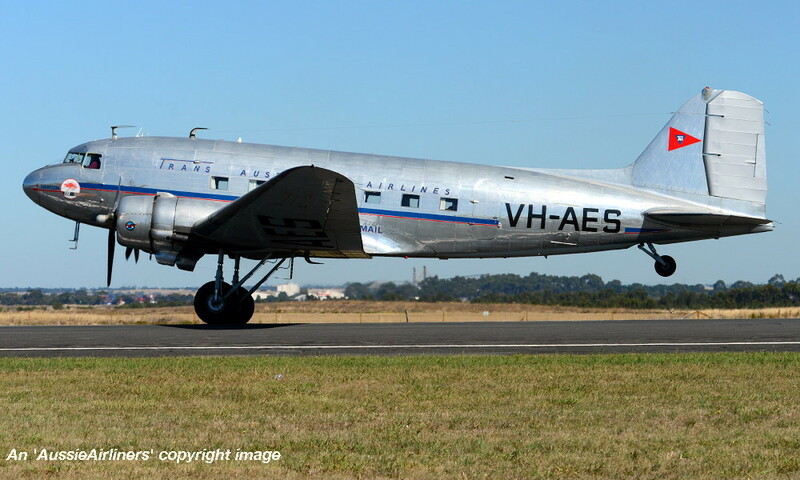 VH-AES. Trans Australia Airlines - 'Hawdon' in the original style livery at Melbourne Tullamarine Airport, June 1987. VH-AES. K.L.M. 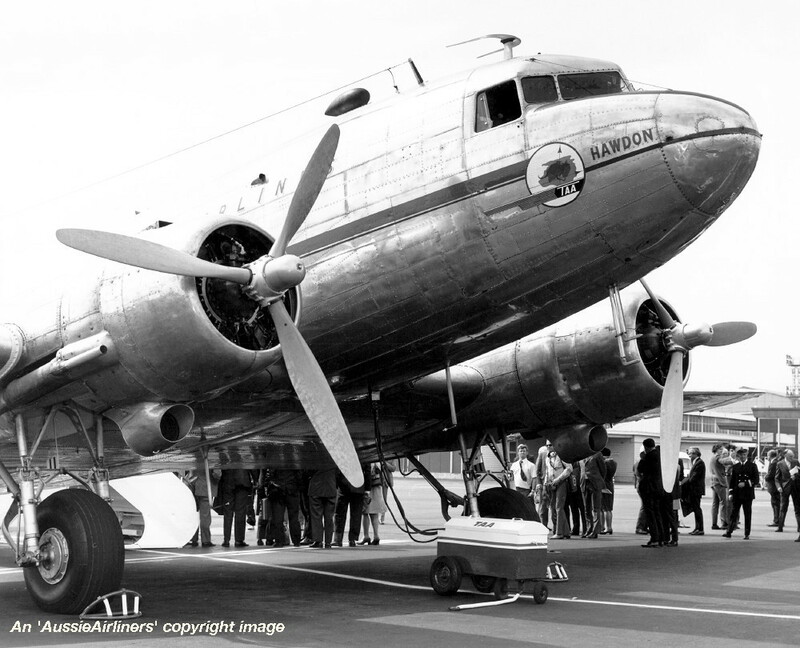 Royal Dutch Air Lines - in the all-metal livery to represent the K.L.M. 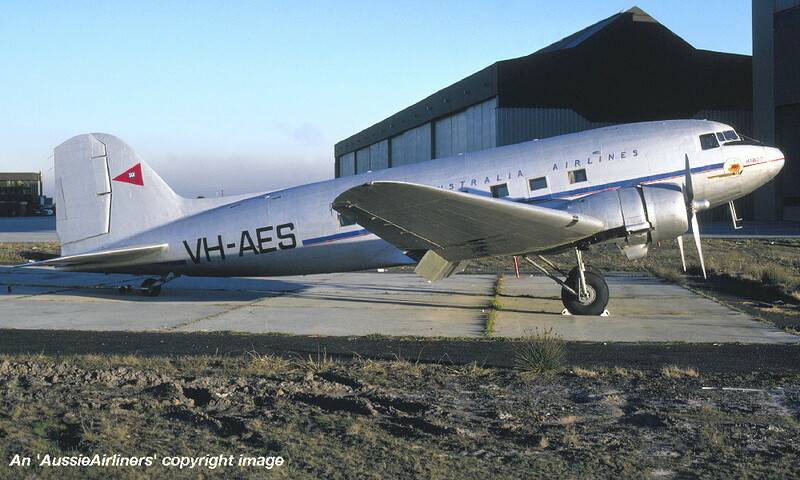 Douglas DC-2 'PH-AJU' for a movie at Melbourne Tullamarine Airport, May 1990. VH-AES. K.L.M. 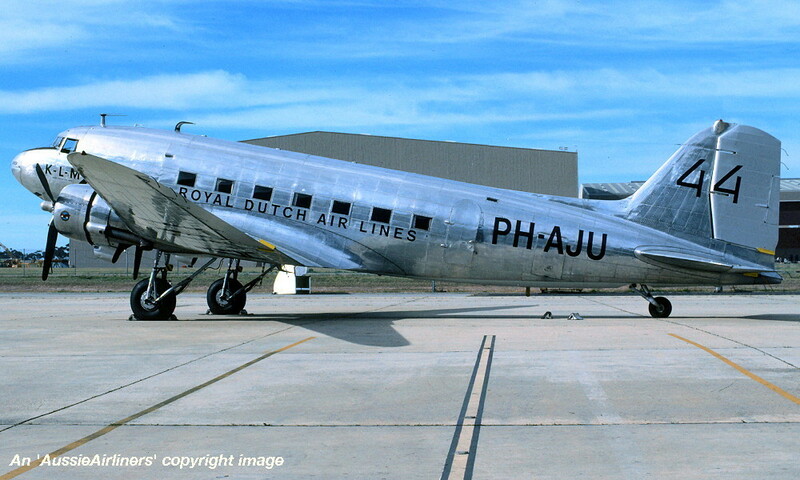 Royal Dutch Air Lines - in the all-metal livery to represent the K.L.M. 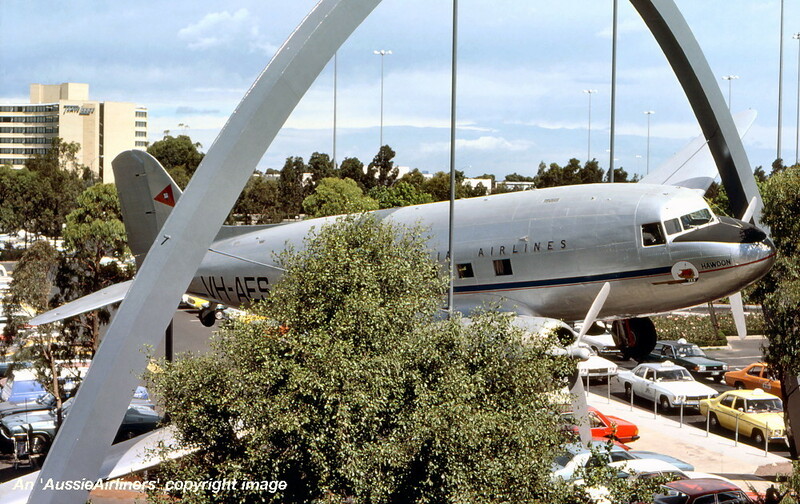 Douglas DC-2 'PH-AJU' for a movie at Melbourne Tullamarine Airport, May 03, 1990. VH-AES. Trans Australia Airlines - 'Hawdon' in the original livery at Melbourne Tullamarine Airport, December 1991. 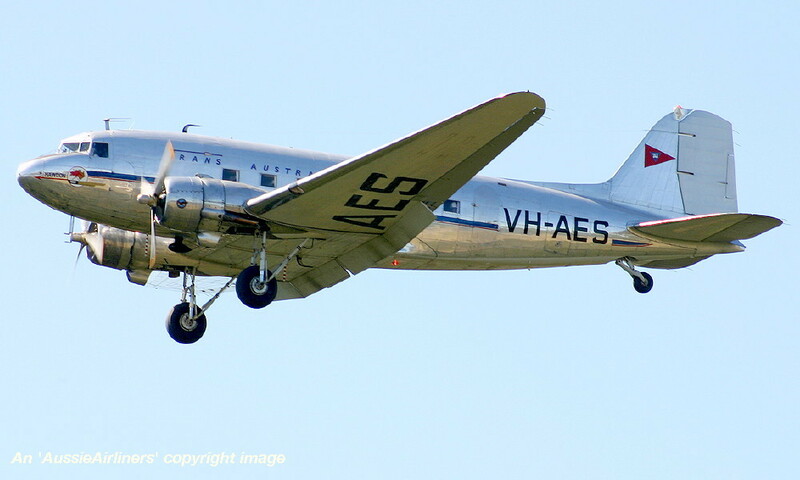 VH-AES. Trans Australia Airlines - 'Hawdon' in the original livery at Brisbane Airport, April 2004. VH-AES. Trans Australia Airlines - 'Hawdon' in the original livery at Melbourne Avalon Airport, February 27, 2013. VH-AES. 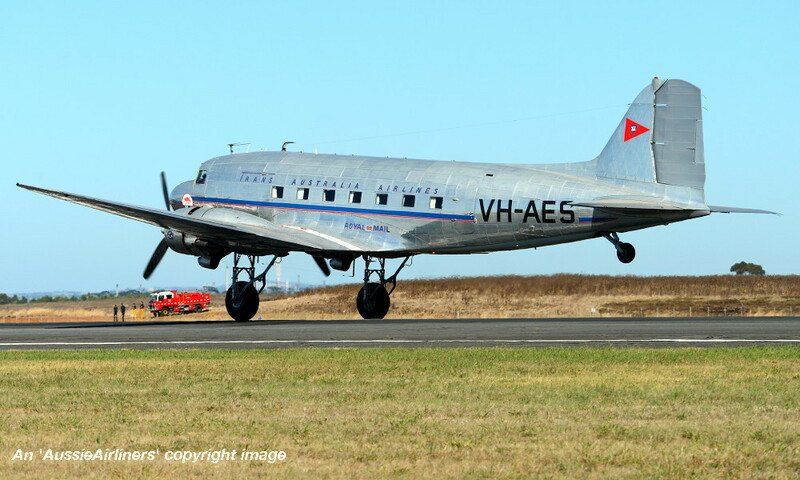 Trans Australia Airlines - 'Hawdon' in the original livery at Melbourne Avalon Airport, March 03, 2013.